Attention! 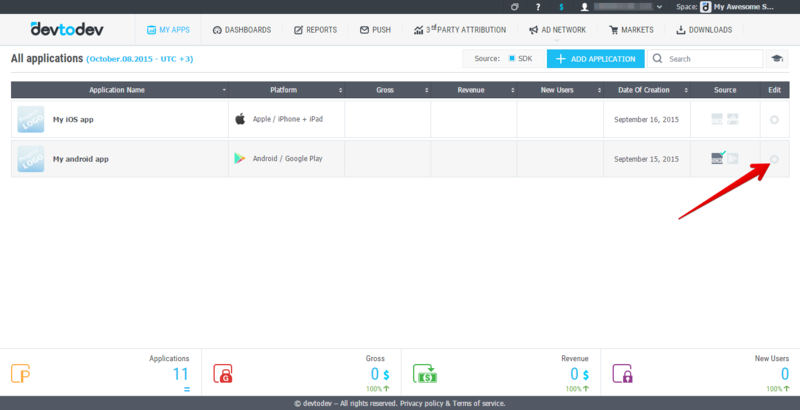 Push notifications are availible only for iOS and Android. 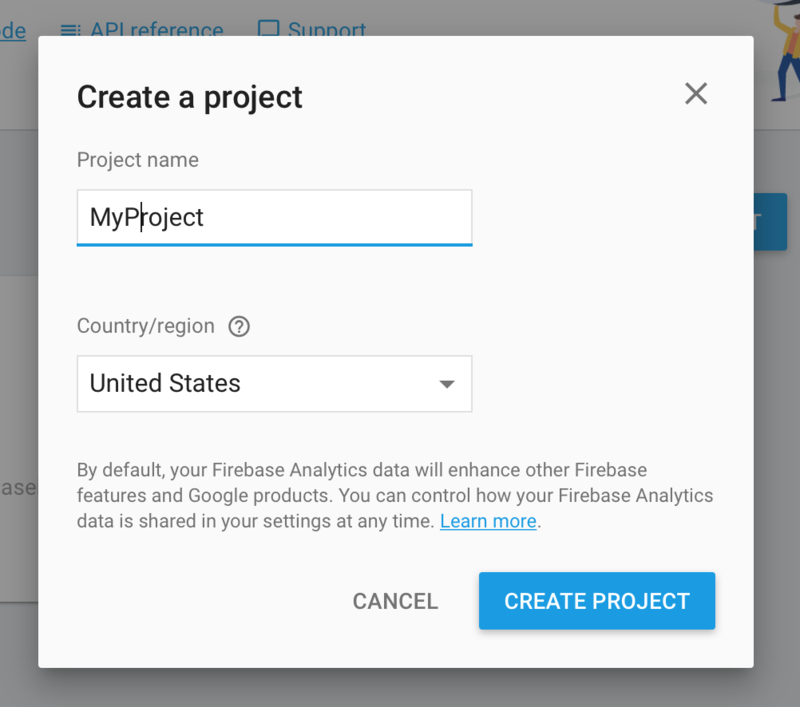 Go to Firebase console and then to your project or creat a new one. Save the google-services.json file and add it to your app so that it is placed inside the Assets folder in a ready .apk file. If you use Flash Builder IDE simply copy it in the root folder, Flash Builder will do the rest for you. Update Adobe Air SDK. Pay attention that version of the Adobe Air SDK should be at least 22.0, otherwise FCM classes will not be imported into your project. However, you still can use Analytics, but application will not be able to accept Push Notifications. Add dependencies to your project. These libraries are located in the same archive with com.devtodev.SDK.ane extension in the dependencies folder. 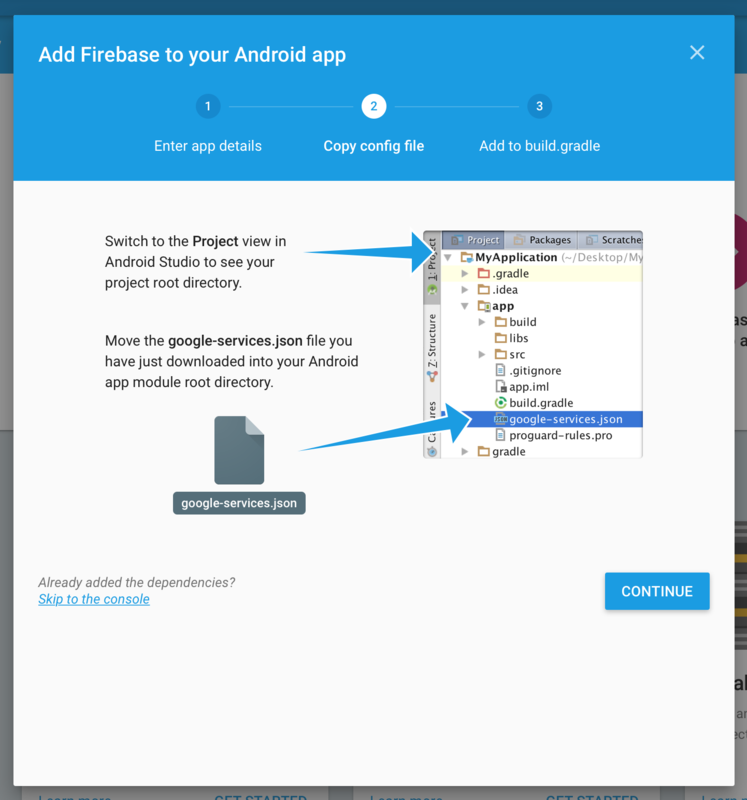 These extensions contain firebase, gps и android-support libraries Java, that are used for sending Push Notifications. 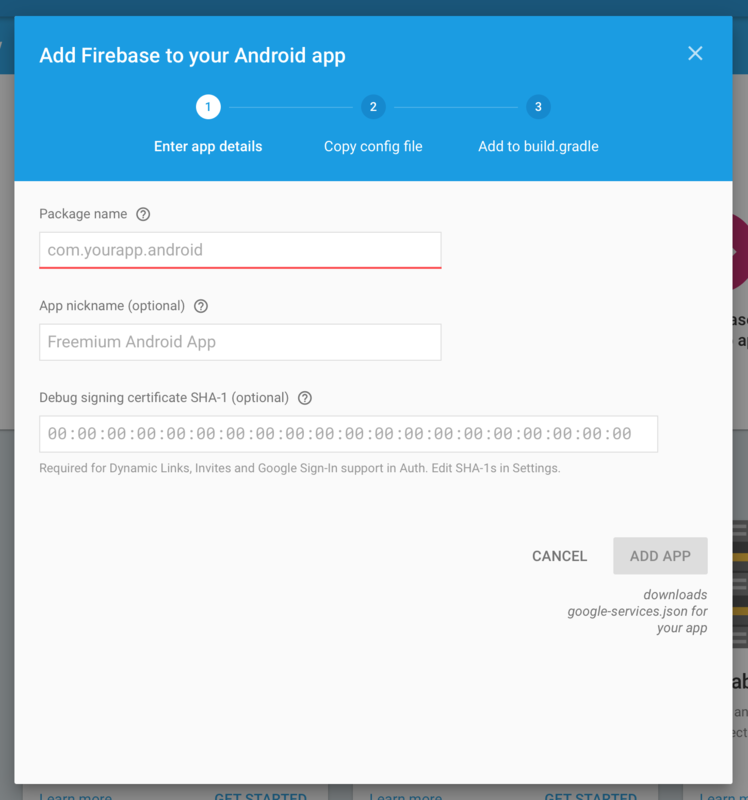 If you have already imported firebase-auth, firebase-common, firebase-iid, firebase-messaging, play-services-auth, play-services-base, play-services-basement, support-v4 or they are included in other extensions, you don't need to import them again. In any case, we recommend to use data from the library of a version not lower than 25. Proceed to Setting of your app. 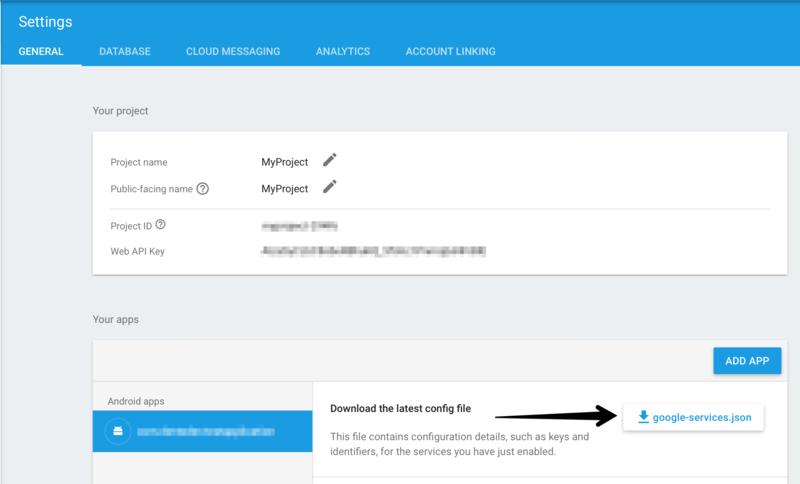 Go to Integration page and insert the previously received Server API Key to the API Key field in Push notifications section. Open PUSH tag and click on ADD NEW PUSH button. Fill in campaign name, select an app for delivery. Attention! 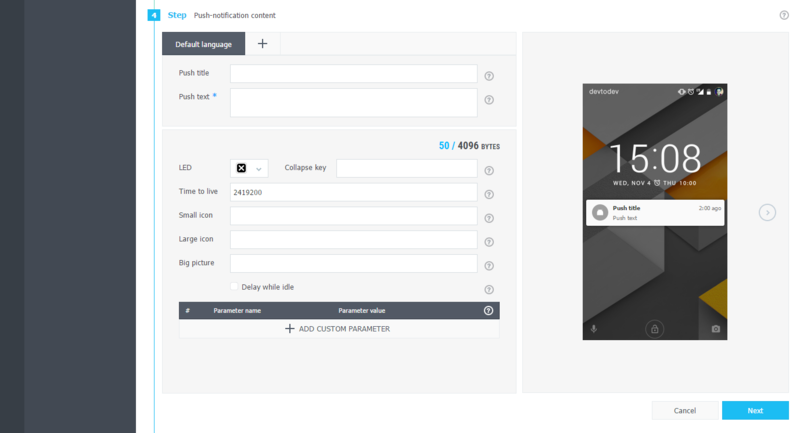 You can create a campaign only after at least one push token comes from devtodev SDK integrated to your application. Otherwise the app will not be displayed in the list. Choose user group to send a message. You can choose existing segment or create a new one. Open "Keychain access" utility (Launchpad → Other) and choose "Request a Certificate From a Certificate Authority" option. Fill in all requied fields in Certificate Assistant window, set flag an "Saved on disk" item and click "Continue". Save the file. Log in at iOS Provisioning Portal. Open "App IDs" section, choose your app and click "Edit". Activate "Push Notifications" option and click on "Create Certificate"
At first, you need to generate Certificate Signing Request. We have already done it, so you can just click "Continue". At next step you need to upload the CSR to the Apple server. Choose the CSR-file and click "Generate". Certificate generation takes just a few seconds. After generation is finished click "Download" and then "Done". You'll need to repeat this process to generate the Production Certificate when your app will be ready for release. All steps are the same. You'll be suggested to create a password which is used when you need to import the key to another computer. Convert Apple certificate file to the PEM-file. Start the following command-line operation from bin catalog OpenSSL. If you are using key from Mac OS keychain than choose PEM-version created at previous step. Otherwise you can use OpenSSL key for Windows OS. 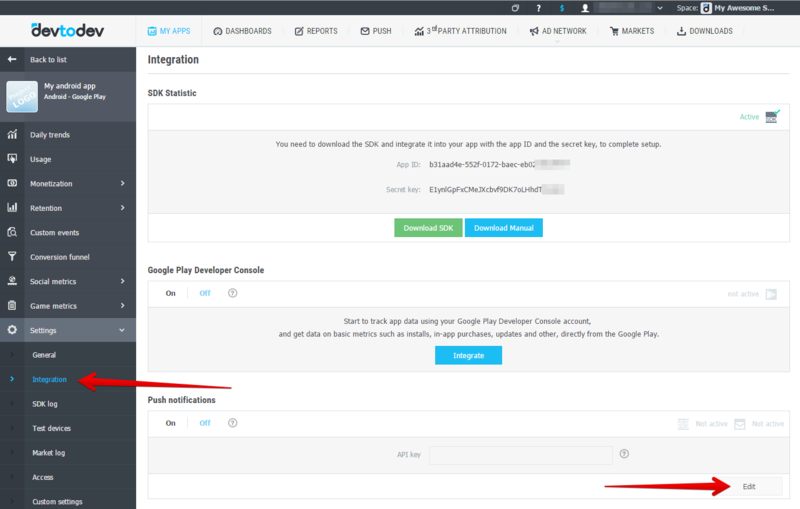 After the certificates has been generated you can start to integrate Push SDK into you app. Attention! If you use Production Certificate for signing application package, don't forget to change "development" value to "production". Compile and run the app. You will need a device, because simulator does not support push notifications. Xcode will automatically choose new provisioning profile. If an error occurred during the launch make sure that there is a correct profile set in the Code Signing Identity. You'll be asked to confirm push-notifications. An app will request permission only once, if user confirm it - notifications will be accepted otherwise he wont get any push messages from your app. User can change it in device settings.